Fiji is one of those rare tropical destinations where families keep coming back generations after generations. Just ask anyone who’s gone to Fiji. Visit just once and you’ll feel like you’ve found your home away from home. Coupled with the Fijians’ strong ties to family and universal love of children, you’ll find not only your new home but a long lost family. For an exceptional Fijian experience on your next family holiday, we’ve gathered a list of the best 5 Fiji family resorts. This upscale beachfront retreat on Malolo Island is a favorite with families looking to truly disconnect from the world. With golden beaches and lush palm trees swaying above only 46 plantation-style bures, this intimate hideaway makes tuning into holiday mode easy. While there are no “mod-cons” such as phones, TVs and limited internet, the Yanu Yanu Kids Club and activities on offer allow guests of all ages to be as active or relaxed as they please. The Yanu Yanu Kids Club invites children ages 4 – 12 to Tia’s Treehouse, where most of the planned activities take place. Among the Fijian crafts making, sand castle building and meke dance practices are snorkeling lessons, wildlife presentations and guided nature walks. For kids younger than 4 parents can arrange a private baby-sitting service at an extra cost. Teenagers can also wind down at Khail’s Club, with table tennis, bean bag lounge chairs, satellite TV and free WiFi. Once you tire of the hobie cats, stand up paddle boards and kayaks you can explore the extensive list of tours and activities the resort offers. Book a Mociu Private Island experience – mostly popular with honeymooners, but a Kids Club Mociu Island Adventure is also on offer for families to enjoy. Or you may book a banana boat ride for the kids – always a highlight. Malolo Island Resort is the perfect mix of a private island getaway with family adventures in the most idyllic tropical setting straight out of a dream. If you’re looking for nothing but relaxing poolside with cocktails in your hand while the children are out playing, Outrigger Fiji Beach Resort is the perfect fit. 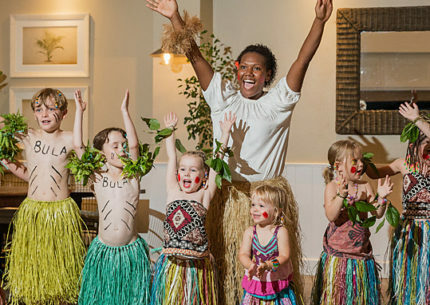 With a free Kids Club with programs tailored to different age groups, children will have a blast with treasure hunts, boogie board racing, fish feeding, crab hunting, arts and crafts and all sort of activities under the careful supervision of the warm Fijian staff. Teenagers also have their own dedicated program, with adventures geared towards introducing them to Fiji’s culture and history. Activities include a Sigatoka Sand Dunes adventure, Tavuni Hill Fort tour, Bebe Hill hike, Enchanted Pool hike and a student exchange trip to a local Fijian high school. Outrigger’s famous Meimei nanny service offers a completely tailored caretaking experience for your children. Adults can book a Meimei nanny (extra cost) and set up a daily schedule for their children. With a daily written brief about your kids’ daily activities and a complimentary gift for every child, the Meimei nannies will become both yours and your child’s new best friend. Adults will love the Talai butler service included in the rate for all bures and 1-Bedroom suites. Enjoy complimentary champagne and canapes brought to your accommodation daily by your butler at 5pm – the perfect way to start off your evening. 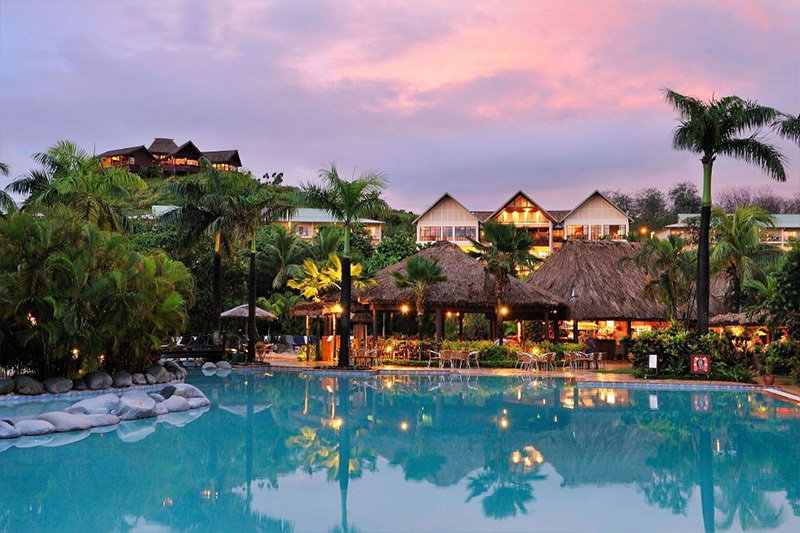 Located near the townships of Korotogo and Sigatoka, Outrigger is the perfect base for a family vacation exploring Fiji’s main island, Viti Levu. Just a five minute walk outside of the resort is the Kula Wild Adventure Park, where kids can meet exotic reptiles, zipline across the lush forest canopy or slide down the Splash Mountain Jungle Slide. If you tire of Outrigger’s 5 restaurants and 6 bars, explore the nearby eateries or stop in at one of the local marts and pick up a bottle of wine for that little extra indulgence on your holiday. After your family holiday at Castaway Island Fiji Resort, your kids will come away as ice cream eating champs. And that’s just one of the many unique activities Castaway Island’s Kids Club has to offer. 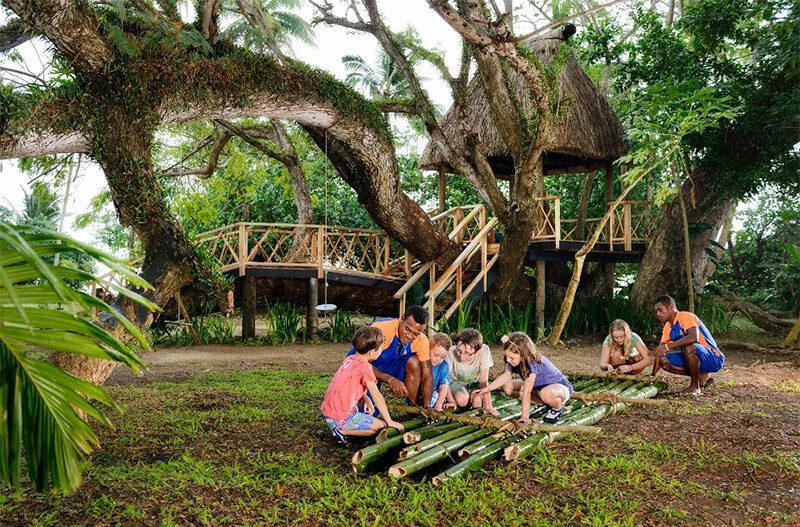 The extensive Kids Club program features a daily rotating array of activities and Fijian games with a friendly, competitive twist. Kids can join in on two-legged races, coconut toffee making, wildlife spotting, nature walks, and yes, an ice cream eating competition. Teenagers can also enjoy daily itineraries themed around arts and crafts, learning about Fijian culture, meeting marine life and more. Snorkeling lessons followed by a guided reef snorkel is included everyday, and your teen can even end their day with a mocktail party while you enjoy your favorite cocktail at the resort’s award-winning Restaurant 1808. 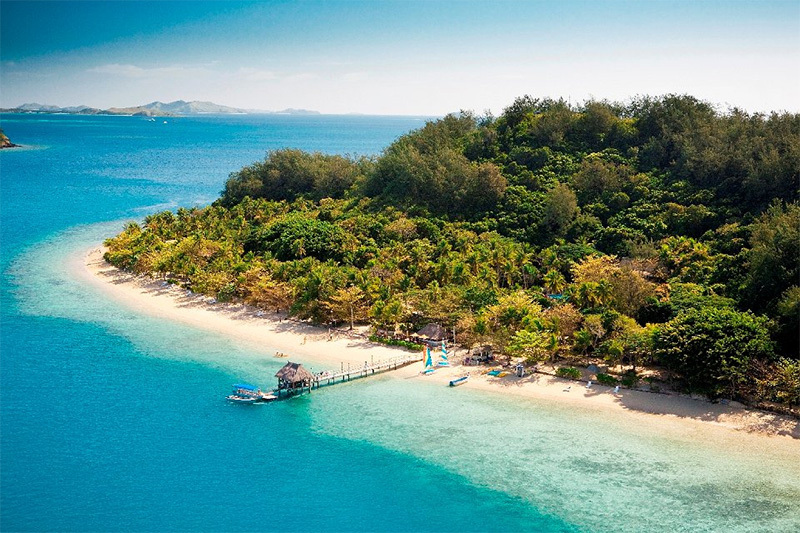 Surrounded in the beauty of crystal clear turquoise waters and white sand beaches the Mamanuca Islands are so famous for, Castaway Island is a consistent favorite with families. When the kids are not at the Kids Club, families can enjoy snorkeling on the house reef, kayaking, stand up paddle boarding, glass-bottom boat rides and catamaran sailing, all included. For an extra cost, a personal nanny service is also available at 30 minutes notice – perhaps the most generous in all the Fijian islands. The setting alone is enough to make you fall in love with Castaway, but families find it most hard to tear away from the genuine, caring staff this resort is so renowned for. You might lose your kids at Jean-Michel Cousteau Resort. They won’t ever want to leave. 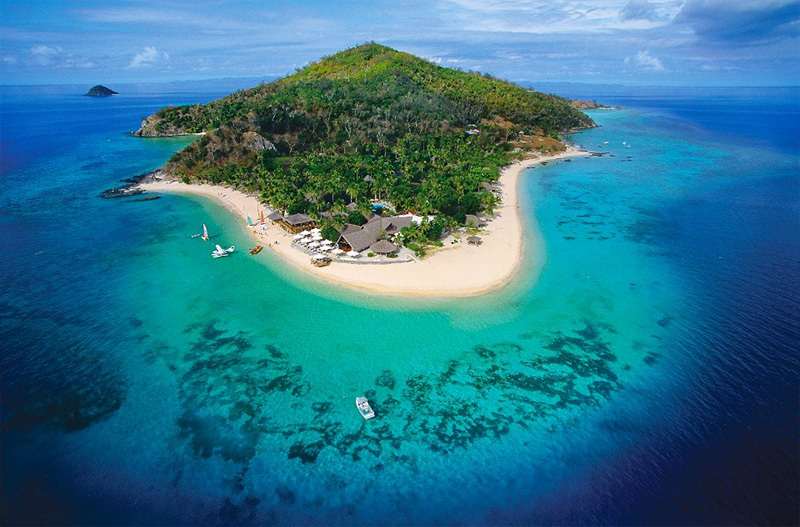 Jean-Michel Cousteau Resort is one of the most revered family resorts not only in Fiji but in all the South Pacific. Located on the idyllic island of Savusavu, the tranquil ultramarine waters of Savusavu Bay and its small stretch of white sand beach create a lush retreat away from the sprawling resorts of Fiji’s main island. In true Fijian fashion, family and culture are at the heart of Jean-Michel Cousteau Resort. The all-inclusive rate allows two kids age 12 and under to stay free per bure. Also included is a personal nanny for every child under the age of 6, and a Fijian Buddy for older kids in groups of up to five. Plus, each bure is assigned one dedicated nanny from 6:30pm to 9pm, allowing plenty of time for parents to relax and enjoy the all-inclusive experience this resort has to offer. 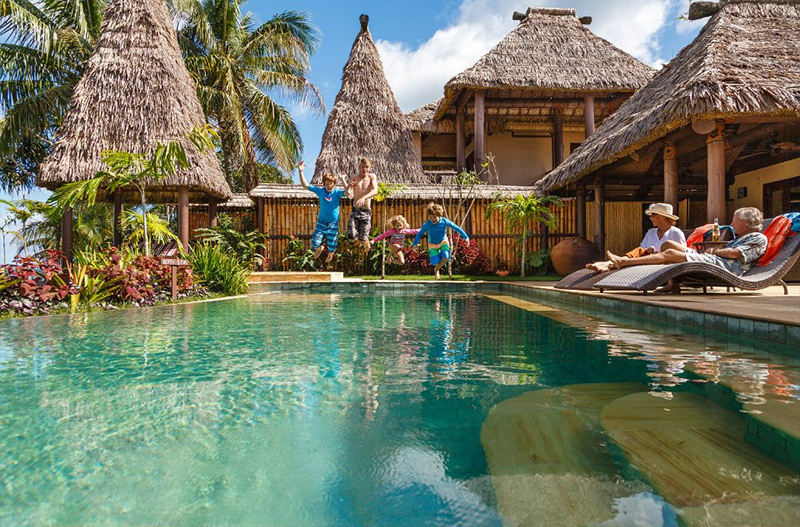 The resort’s famous Bula Club is like an endless summer camp for the kids. With three pools including a family pool with a waterslide, kiddies’ pool with a waterslide and a toddler’s pool, the children are free to splash around without disturbing other guests. A jungle gym, trampoline, sandbox, flying fox, treehouse and arts & crafts center also offer plenty of activities and fun. The Bula Club also offers a range of programs designed for different age groups to learn about Fijian culture, exploring coral reefs and learning how to care for the natural environment. Family snorkel trips are also on offer, as well as local village and school visits. Jean-Michel Cousteau Resort also allows you to spend as much time as a family as you wish. Parents can join their children at the Bula Club for lunch or request a beach picnic or dine at the Family Deck area at no extra cost. Families are also encouraged to include their assigned nannies in activities outside of Bula Club, making family time stress-free and easier to enjoy. In fact, many families report that their kids are reluctant to leave their nannies and Fijian Buddies behind! You’ll discover long lost family at Nanuku Auberge Resort. From the moment you arrive at the resort, you’re greeted with something more than the famous Fijian warmth and sincerity. You’re greeted back home. Located about 2 hours away from Nadi airport, this secluded retreat is a luxurious hideaway perfect for families who want to experience a little bit of everything. Each accommodation is assigned a Villa Mama and Buddy, who arrange everything from daily activities for the children to keeping your villa clean. They are also on hand to suggest excursions and bring you any requested snacks or beverages. Nothing is too much trouble, and every request is met with attentive service and a smile. Kids can spend their day at the Lailai Children’s Club under the supervision of dedicated nannies for every child under the age of 6, while kids ages 6 – 12 have the choice to be partnered with a Fijian buddy. 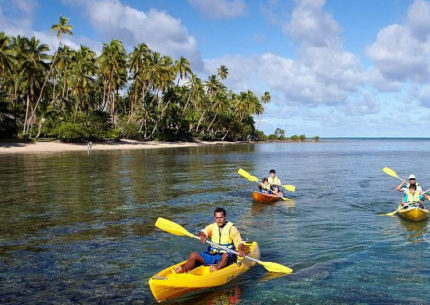 Activities include creating Fijian pottery, guided zip-lining, nature walks with wildlife spotting, reef walks and more. If families wish to spend more time together, they can explore the resort’s gorgeous beachfront with complimentary kayaks, paddle boards and snorkeling gear with a guide always on hand for reef excursions. Kids can even join their parents at Nanuku’s exceptional spa with the “Little Luxuries” menu, including mother and daughter pamperings, father and son treatments, or manis and pedis just for the kids. Nanuku’s extensive beachfront property houses only 24 spacious suites, villas and residences, offering the epitome of barefoot luxury. The opulent residences, with multiple bedrooms, separate living areas, private pools and expansive decks are popular with extended families. The resort may have anywhere from 1 other guest to 12 other families, and yet you’d never know there were other guests at all. Perhaps your idea of paradise doesn’t include your extended family, but Nanuku Auberge Resort redefines all ideas of a family vacation. With an endless array of activities and excursions on offer, Nanuku holds something for everyone. Ready to Plan Your Fiji Family Holiday? Whether you seek moments of solitude and relaxation or hope to reconnect as a family, Fiji is the perfect family getaway. Choosing the right resort to suit your needs is important for ensuring your experience is exactly as you imagined – and more. 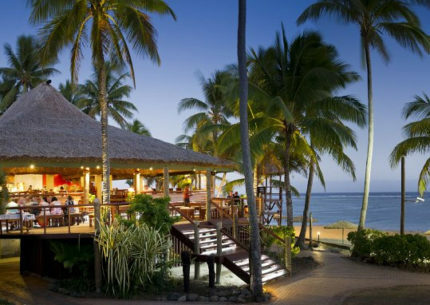 As experts in Fiji resorts, we’ll help you plan every move to get your family to paradise. From flights to transfers, accommodations and even tours, we’ll make sure your Fiji family vacation runs as smoothly as possible. Contact us today to start planning your trip! Private Island + World Renowned Resort w/ FJ$700 Resort Credit, Free Kids Club & Transfers.